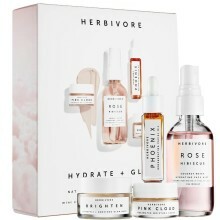 A collection of products to hydrate skin and bring out your natural glow. 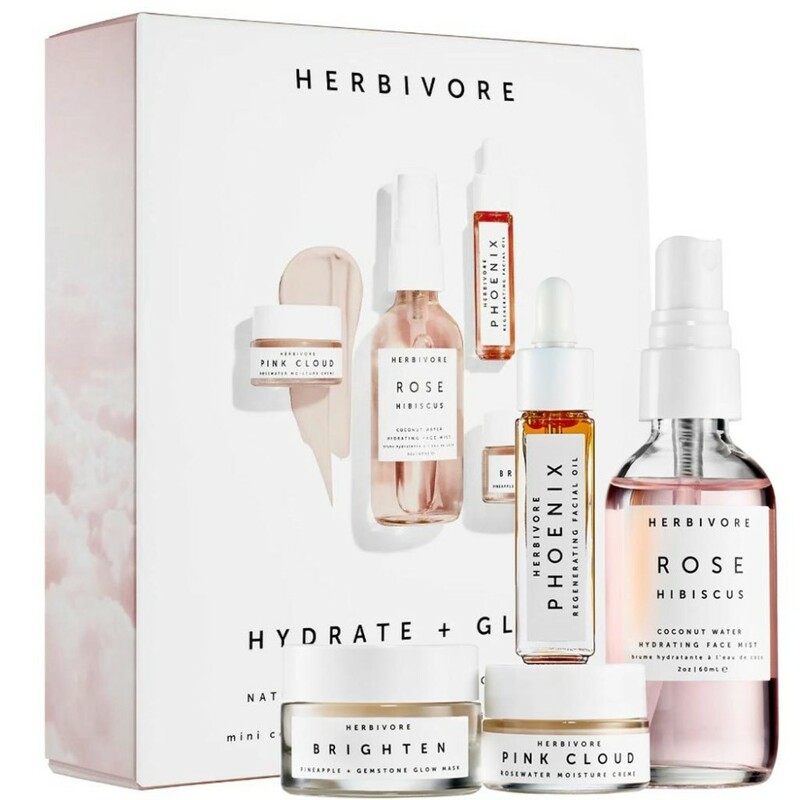 Get good skin naturally with Herbivore’s Hydrate + Glow Natural Skincare Mini Collection. These products were formulated for all skin types, but are especially beneficial to skin in need of rich hydration, support for natural cellular regeneration, and glow. 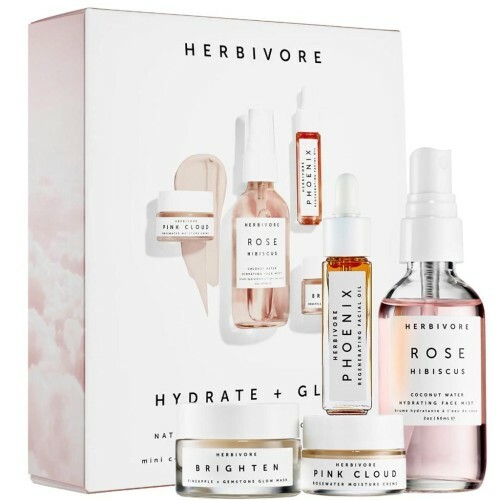 The Hydrate + Glow Collection features Pink Cloud Rosewater Moisture Crème to hydrate and nourish skin with a blend of rosewater, aloe, kukui oil, white tea, and plant-derived sodium hyaluronate.